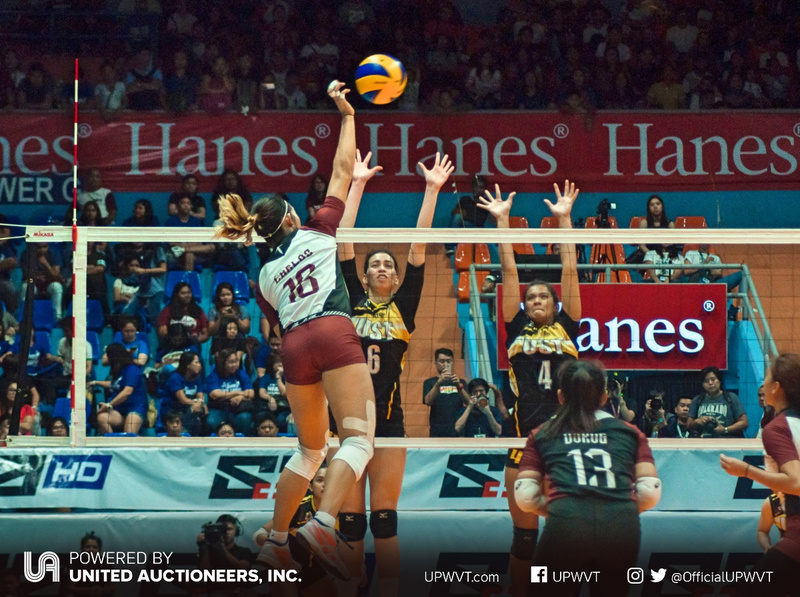 The UP Lady Fighting Maroons fought hard but fell short in the hands of the UST Lady Tigresses in three sets at this afternoon’s Philippine Superliga Collegiate Grand Slam 2018 tilt. 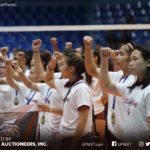 UP has fallen to second place with a 3-1 record. 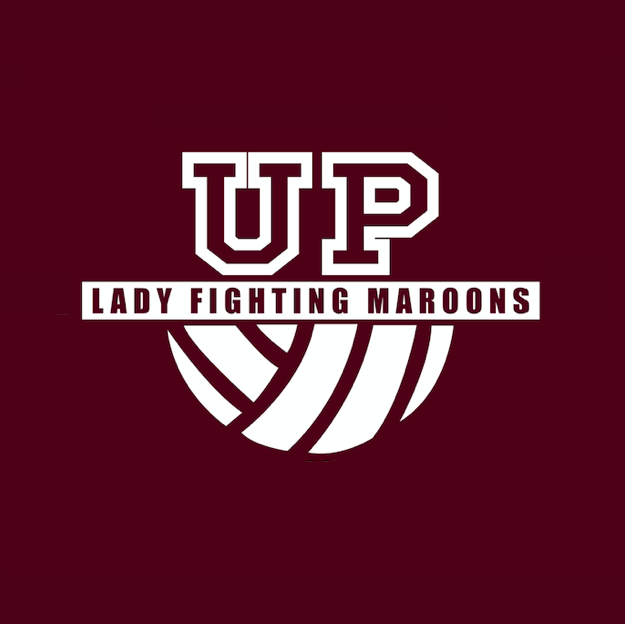 The Lady Maroons, who had started the tournament with a 3-0 slate, faced a worthy opponent in the Lady Tigresses who also came in the game unscathed with a 2-0 record. Battling for the solo spot atop the rankings, both teams gave fans a very exciting match. UST drew first blood, inching past the Maroons. The Diliman squad kept it close, but the Tigresses eventually came out on top, 25-22. From there, UST took the wheel. Led by Eya Laure, the team went up by as much as 8 points before securing the second set, 25-17. The third set was no different as UST took over, 25-19. Following this week’s heartbreaking news of Sir Dominic Sytin’s untimely passing, the ladies made sure to dedicate this match to their greatest supporter. Mr. Sytin has been at the team’s side through the past year, watching trainings, cheering during games, and motivating the team to be their best. 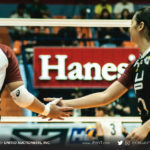 The UP alumnus guided the team from their losing streak to their championship run. The team will forever be grateful to Sir Dom. UP will face De La Salle Dasmariñas next week (Dec 8), 2pm to end the PSL CGS elimination round. The game will be held at the Ynares Sports Center in Pasig.